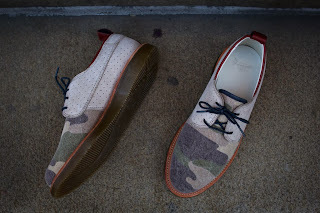 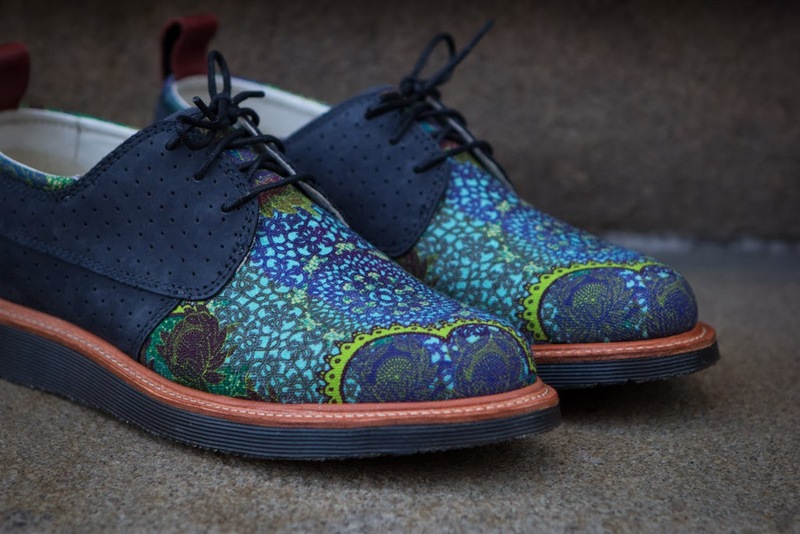 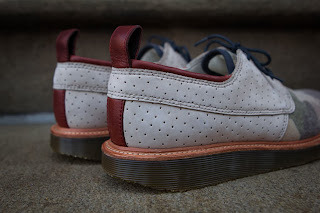 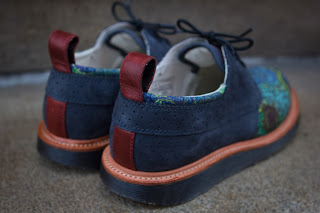 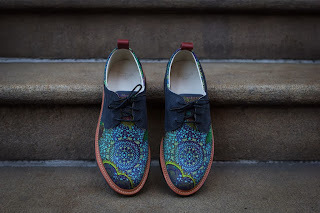 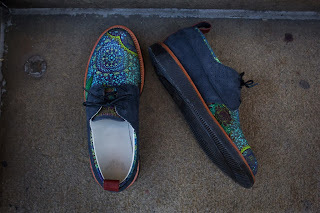 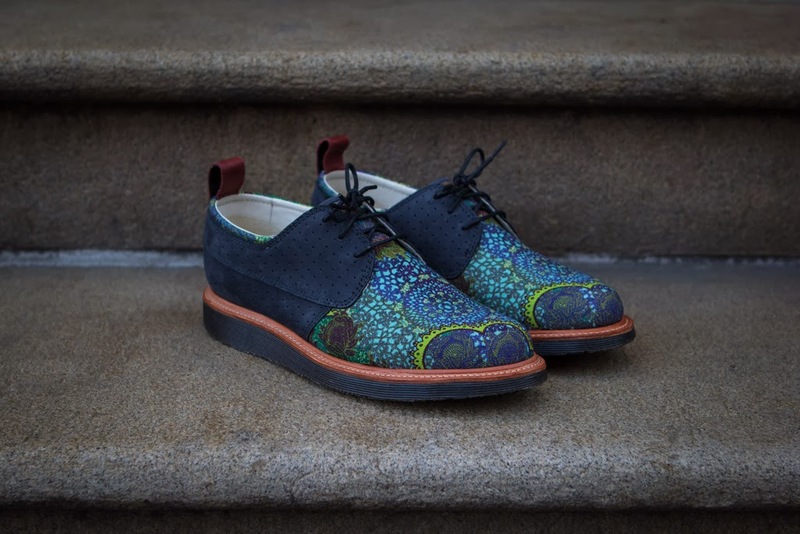 Elevating street to fashion, Ronnie Fieg designs a brand new upper for the iconic Dr. Martens brand. 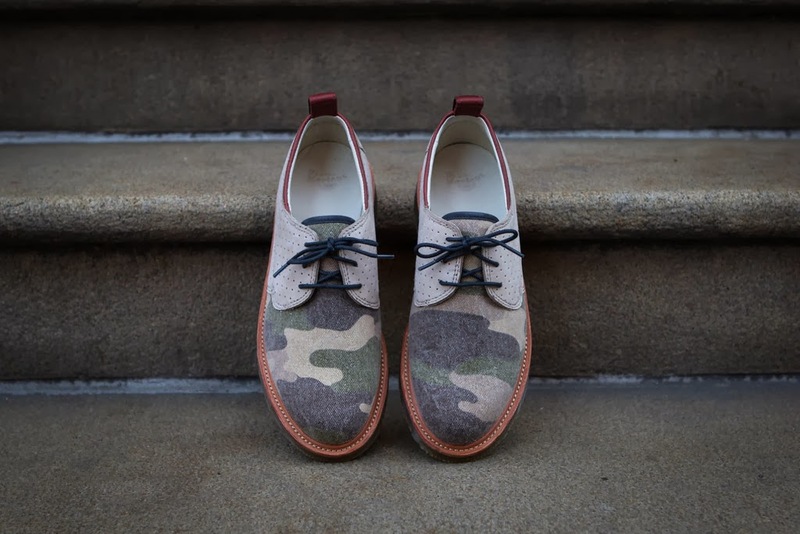 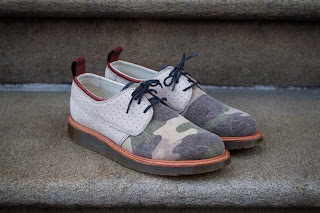 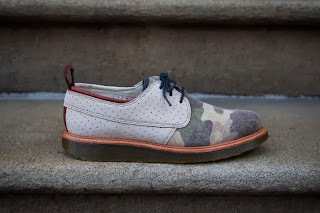 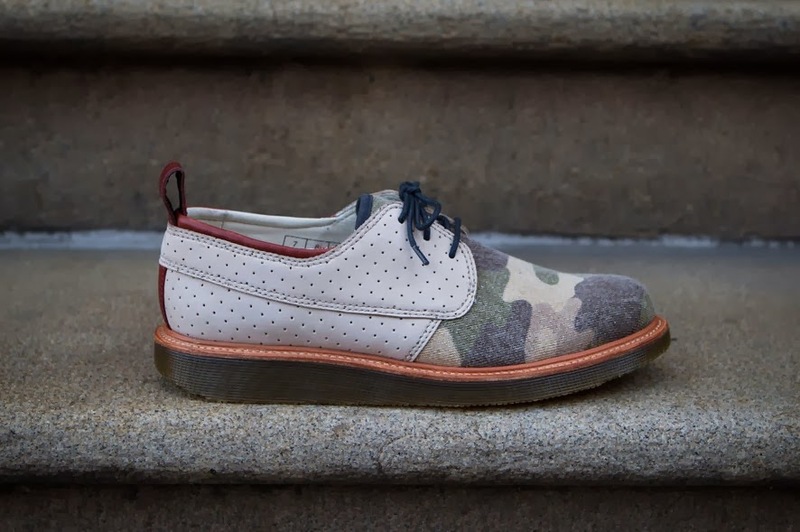 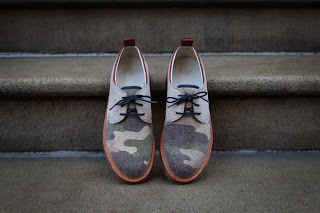 The Eldridge integrates unique washed camo duck canvas, perforated nubuck, and soft leather lining with Dr.Marten's traditional Goodyear welted Celia soles. 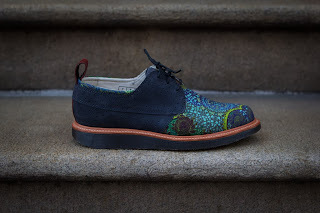 The Eldridge's dynamism offers sophisticated wearability for the upcoming season. 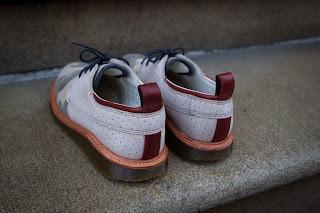 NOTE: Each piece is cut from a different piece of the fabric meaning each pair will have it's own one of a kind pattern.